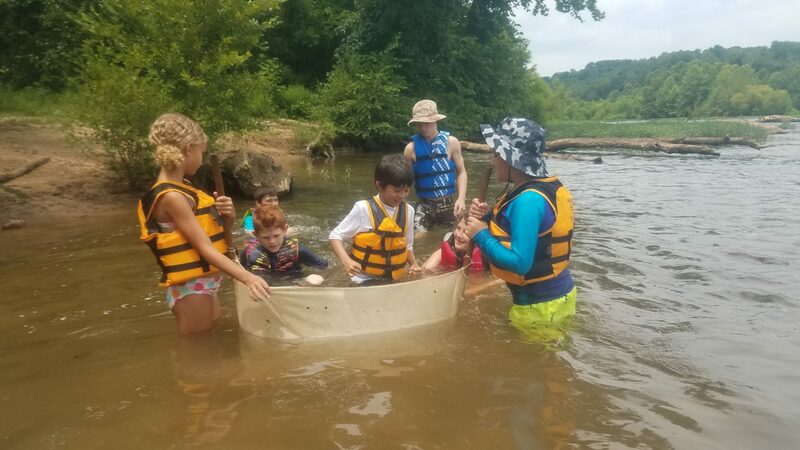 A piece of land along the Rappahannock River where children have learned about that vital natural resource will be preserved for generations to come. Friends of the Rappahannock, the nonprofit group that strives to be “an active force for a healthy and scenic Rappahannock River,” recently purchased the 5 acres of land upriver from its headquarters from local businessman Doug Stewart. “The purchase was made possible by a gift from the Charles Rowe Family Foundation, established by Charles S. Rowe, who was a lifelong resident of Fredericksburg and editor and co-publisher of The Free Lance–Star,” FOR said in the news release. Over the past decade or two, I’ve written about groups ranging from inner-city youths on scholarship trips to college biology students who have used “The Beach” for everything from educational water sampling to flat-out fun. To find out a bit more about the gift and what it means for FOR, I joined two of their staffers, education director Daria Christian and Development Coordinator Nick Cadwallender. Christian said the property’s main use will continue to be educational programs. She noted that “The Beach,” with its sandy bottom and gradual slope, make it one of the few places in the city where students can slowly and safely wade into the water. “We often use it to have the kids do macro-invertebrate sampling,” Christian said. When sampling, kids dip seine nets to collect the small water creatures whose presence is an indication of whether the water quality is good or bad. “It’s a safe place for them to go out there and collect them,” she said. At other times, simply having access to a spot where there are picnic tables and a sandy beach makes it the perfect place for fun and play. Cadwallender, also a former Free Lance–Star publisher and a member of the Rowe family, said the 5 acres is near the 12 acres owned by FOR, where the group has its headquarters and the Virginia Outdoor Center operates, and noted that FOR’s ownership of the tract will effectively conserve the property. He said that there aren’t many parcels of land on the river that are still in private hands, with the city itself owning much of both sides of the river. Cadwallender pointed out that the tract of land is just below where the Embrey Dam sat before it was taken out years ago.